Oliver & Dahlman Equipment Company was established in 1953 and has been serving the agriculture community in the southeast for 60 years. We custom build equipment for the Sugar Cane, Vegetable and Citrus growers throughout the state of Florida. In May 2013, Oliver & Dahlman Equipment Co., Inc in Hastings, Florida purchased FESCO/Mathis Plow Company in Starkville, Mississippi and is now the manufacturer and the sole source provider for all fireline plow parts and forestry equipment sold under the name Mathis Plow Company, Sieco and FESCO. Our goal is to supply quality parts and fireline plows for the timber industry. We also manufacture disc harrows for the forestry industry. 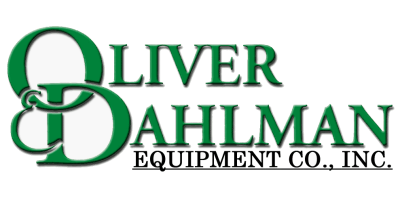 Oliver & Dahlman Equipment Company was established in 1953 and has been serving the agriculture community in the southeast for over 60 years. We custom build equipment for the Sugar Cane, Vegetable and Citrus growers throughout the state of Florida. In addition to our line of equipment, we carry a large inventory of disc harrow blades, disc harrow parts, coulter blades, Rome Plow parts, fireline plow parts, tillage tools, rotary cutter blades, spray parts and much more. In May 2013, Oliver & Dahlman Equipment Co., Inc in Hastings, Florida purchased FESCO®/Mathis Plow Company in Starkville, Mississippi and is now the manufacturer and the sole source provider for all parts and equipment sold under the name Mathis Plow Company, Sieco and FESCO®. Our goal is to supply quality parts and fireline plows for the timber industry. We also manufacture disc harrows for the forestry industry. In addition to our line of equipment, we carry a large inventory of US made disc harrow blades, disc harrow parts, coulter blades, Rome harrow parts, fireline plow parts, tillage tools, spray parts and much more. Shop with the same low prices and customer service as always.